SAN JOSE, CA ― June 2015 ― Bentek, a manufacturer of OEM power distribution products for the residential, commercial and utility-scale solar PV markets, continues to see Bentek PowerRacks gaining customer acceptance on U.S. solar projects. 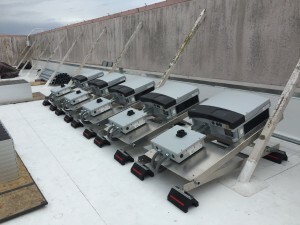 The PowerRack has recently been chosen by Vista Solar, a leading Bay Area PV integrator, for a few rooftop installations. The PowerRack provides installers the flexibility to install inverters within 10 feet of the array while facilitating compliance with NEC 2014 requirements. The PowerRack supports three-phase inverters from ABB, Advanced Energy, Chint, Schneider, SMA, Solar Edge, SolarMax and Solectria. Bentek also ships Inverter PowerSkids (PowerRacks fully-integrated with three-phase string inverters & Bentek AC Disconnects) directly to jobsites from its ISO 9001:2008 factory. 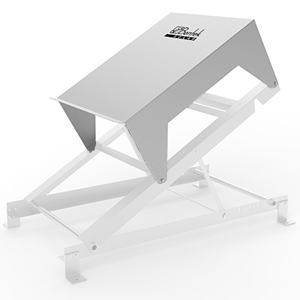 Bentek offers optional PowerShields that easily mount on the PowerRack or PowerSkid, providing environmental and heat deration protection for the inverter. For more information about the Bentek Inverter PowerRack, please contact Bentek at 1-866-505-0303 or visit www.Bentek.com. Founded in 1985, Bentek is a leader in engineered electromechanical and power distribution solutions for industrial applications. Bentek designs and manufactures products such as wiring harnesses, electrical combiner boxes, and custom OEM assemblies for the solar energy and semiconductor markets. Bentek is an ISO certified company. For more information, contact Bentek Solar at 866-505-0303, e-mail SolarSales@bentek.com or visit www.Bentek.com.